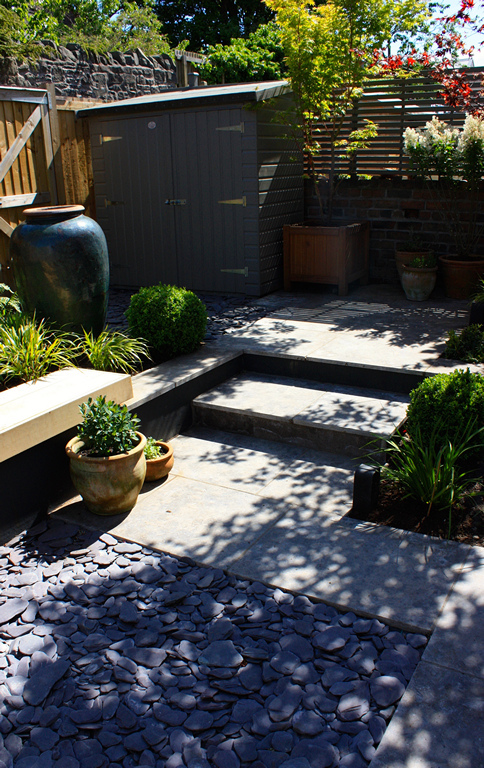 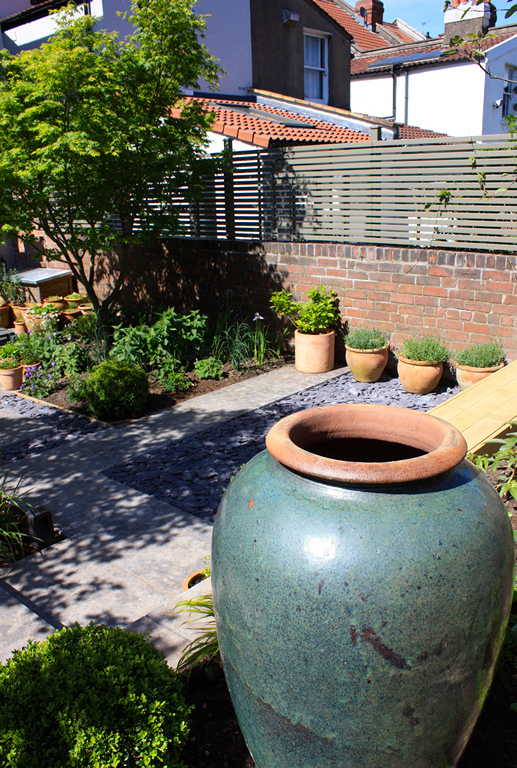 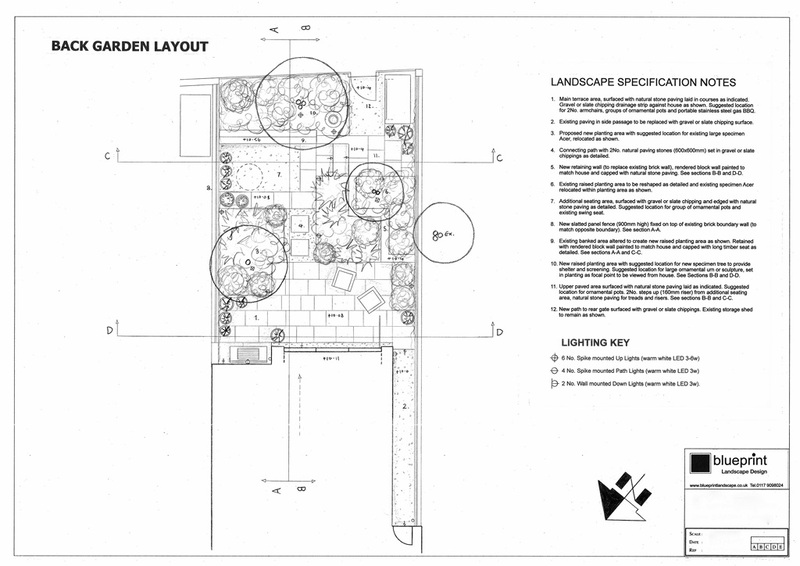 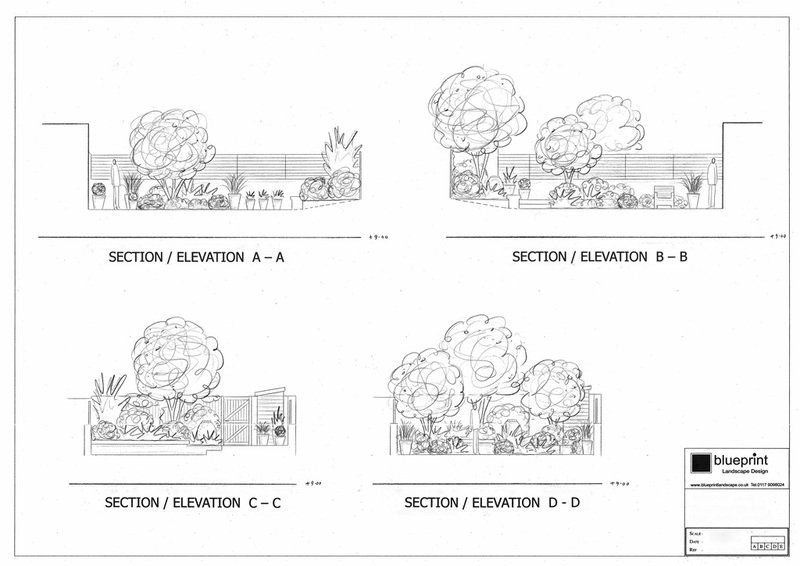 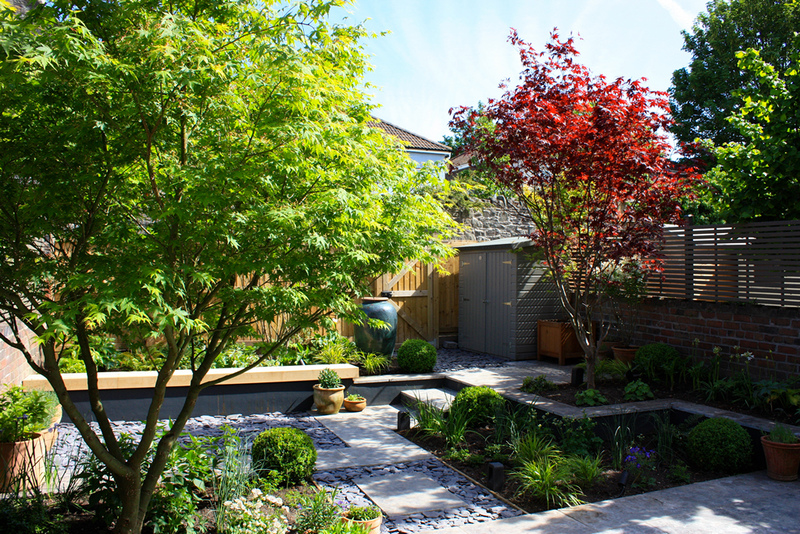 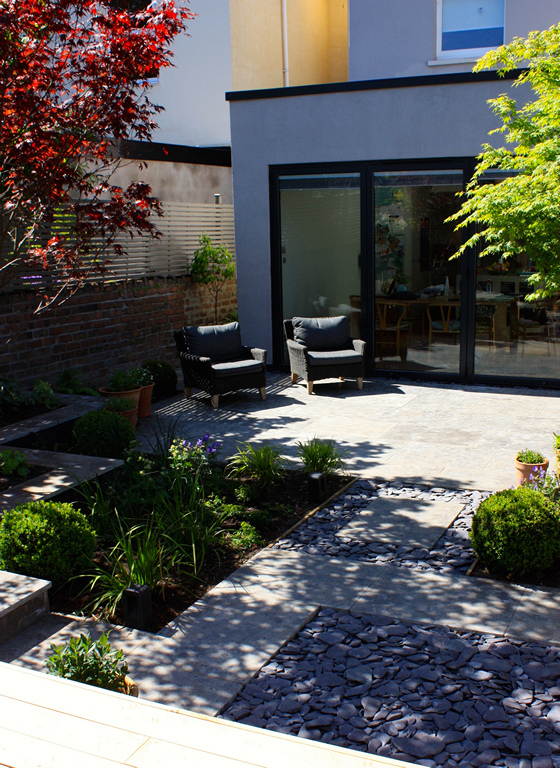 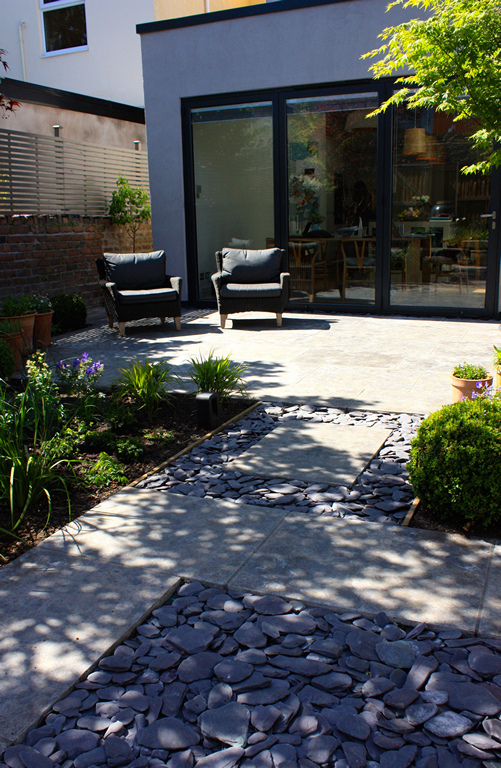 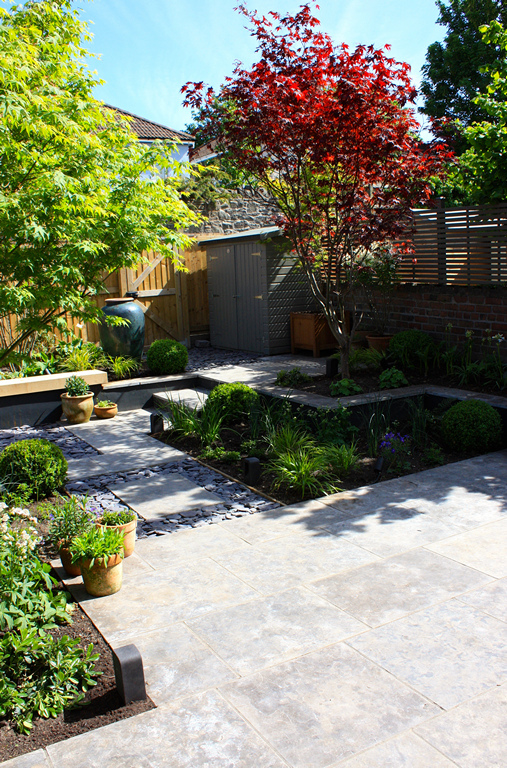 Small contemporary garden (8x10m) in St Andrews Bristol, designed to blend seamlessly with a new kitchen extension. 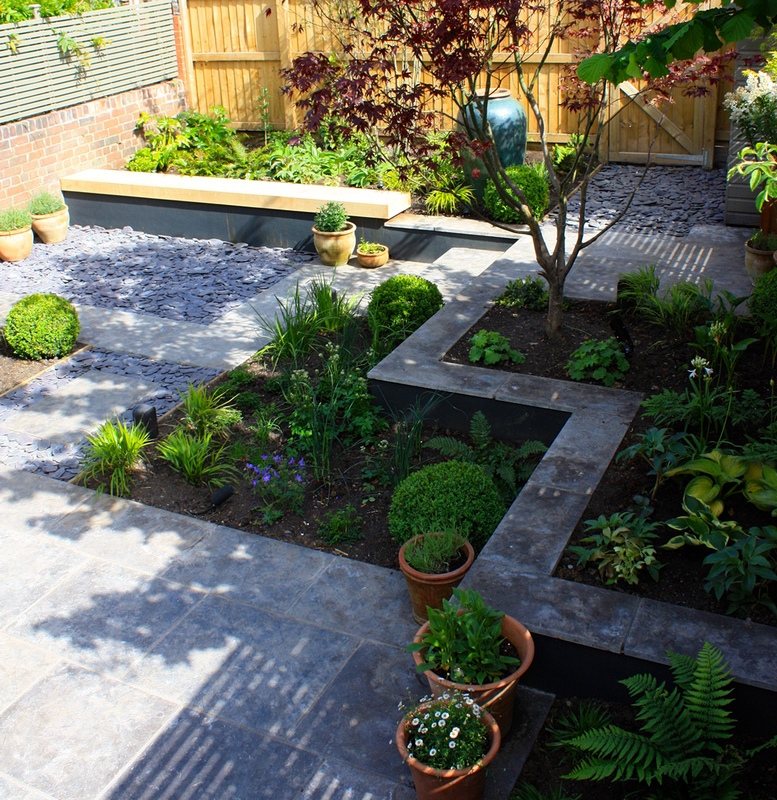 Sawn limestone paving and slate paddle-stones provide textural contrast, slatted timber panels provide privacy and a low retaining wall zig-zags across the garden. 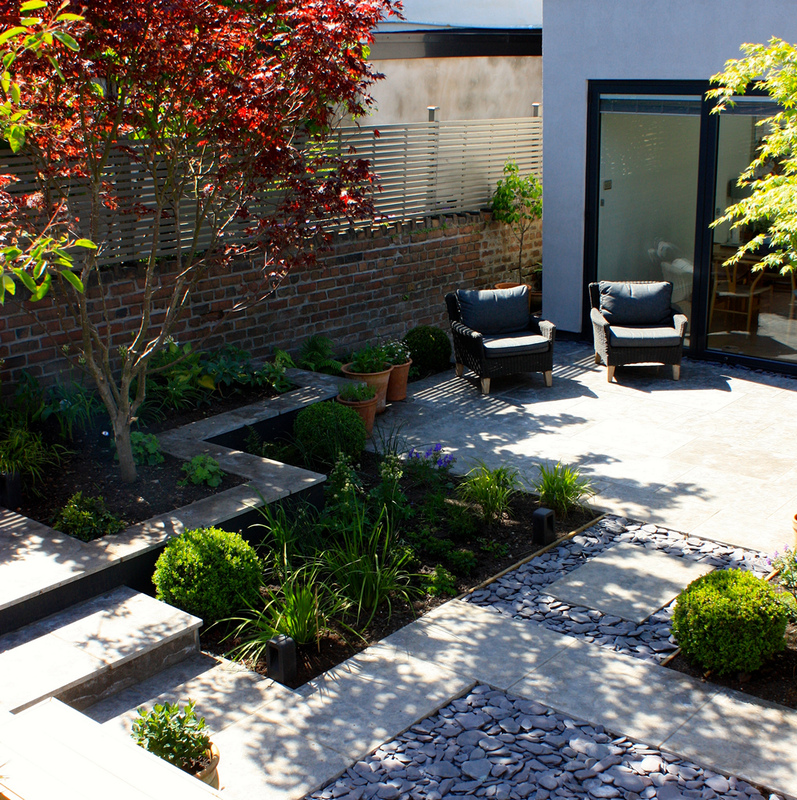 This urban garden is both an inviting outdoor living space and a wonderful panorama to be viewed from inside the house. 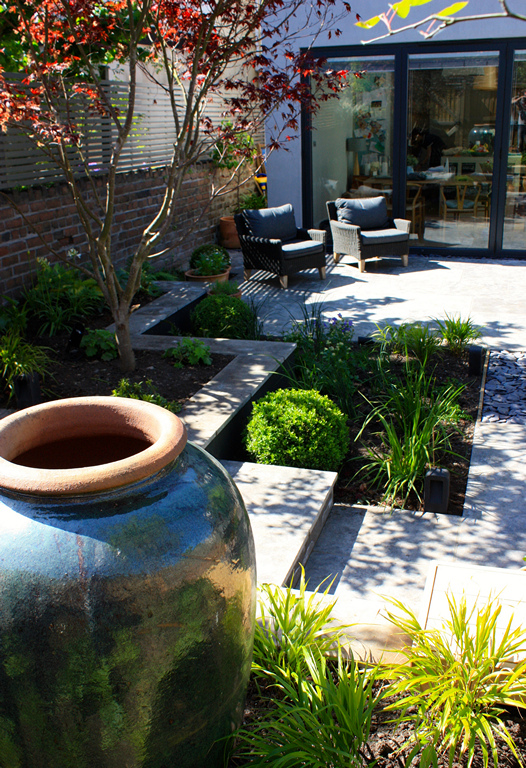 A bespoke oak bench seat, specimen Japanese Maples and a large sculptural water jar act as focal points within the space, with discreet outdoor light units bringing the garden to life at night.